UniGrid expert advisor is a fully automated universal trading robot based on unidirectional grids of orders. 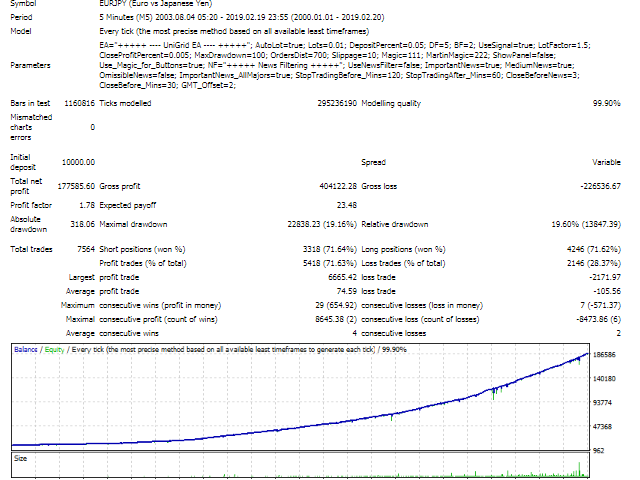 The algorithm of the EA is optimized for all pairs (majors, minors and crosses) but exotics. 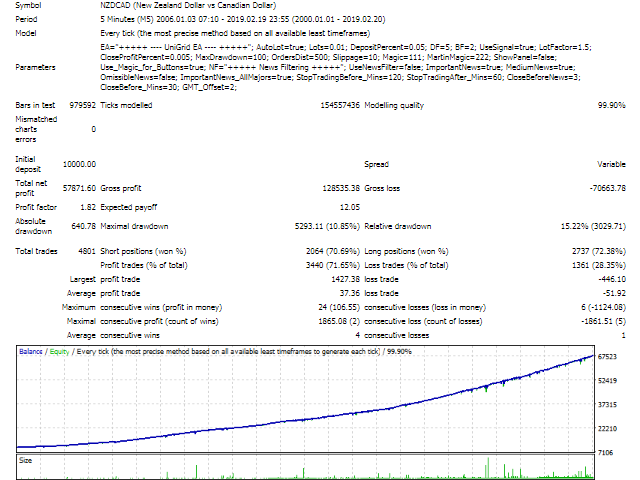 The advanced system of filtering and diversification via big number of trading instruments provides smooth yield curve. The EA has an advanced news filter and buttons for manual manipulating of opened trades if necessary. CloseProfitPercent - profit to close the grid in % of deposit 100 000. Thus one doesn't have to change this parameter with the change of deposit if lot size is the same. ShowPanel - to show information panel with buttons for manual manipulating. It is recommended to switch it off while testing in strategy tester. 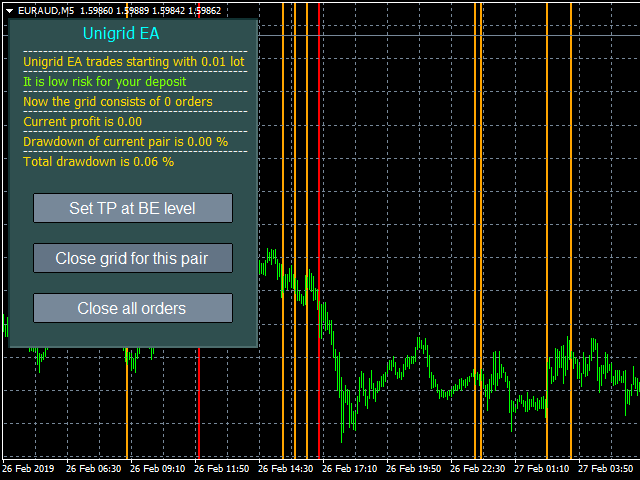 Set TP at BE level - to set visible take profit for all opened trades on the current chart at the level of grid's breakeven. Close grid for this pair - to close all opened trades for this pair. Close all orders - to close all opened trades for all pairs. 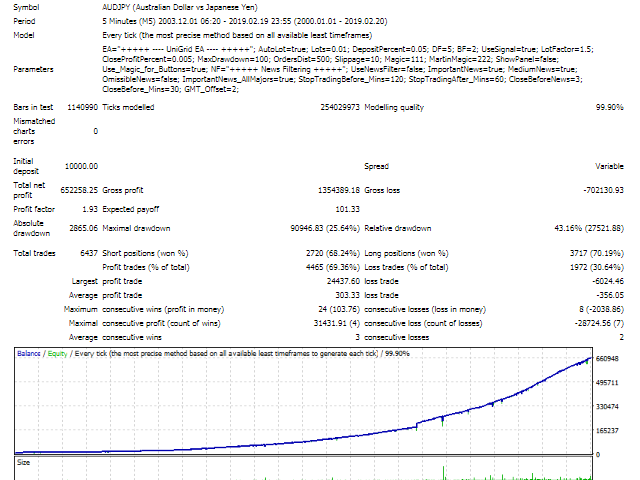 Close profitable part of grid - to close profitable part of grid before news (the total profit of closed trades must be >0). 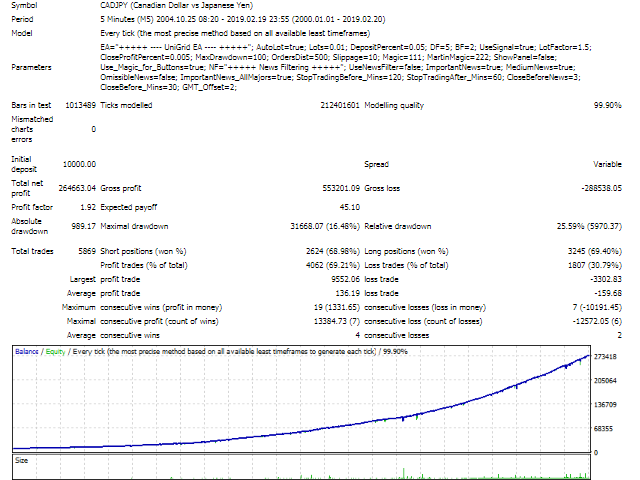 The idea is to reduce load of deposit before strong movement. The impact of the news filter cannot be estimated in strategy tester but I recommend to use it to reduce potential drawdown in real trading. The price of the EA $190 is actual for the first 10 buyers. Then it will grow to $390.